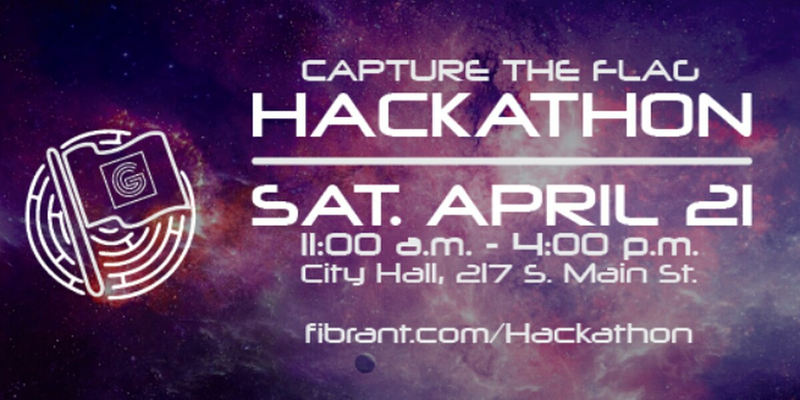 SALISBURY, NC (WBTV) - The Mid-Atlantic Gigabit Innovation Collaboratory (MAGIC), in partnership with Fibrant and various other localities from across the nation, will host its fifth Capture the Flag (CTF) competition, Saturday, April 21, 11 a.m. to 4 p.m. The Fibrant CTF event will be held on the same date and time at Salisbury City Hall, 217 S. Main St.
MAGIC's CTF is an ethical hacking cybersecurity competition for entry-level participants at the middle school, high school and college level, ages 13-22. The CTF will feature multiple teams of two to four students working their way through a series of cybersecurity puzzles set up in a "jeopardy" style format to find hidden flags to earn points. Cash prizes are awarded to the top team members. No prior experience is required and the event is free for participants. CTF will be live streamed from Salisbury's City Hall and the main arena located at the Community Media Center of Carroll County in Westminster, Md. In addition, this event will have multiple satellite locations competing simultaneously throughout the country. "We are excited to host Fibrant's first Capture the Flag event in partnership with the Mid-Atlantic Gigabit Innovation Collaboratory, utilizing our lightning fast fiber optic network and central space at City Hall, said Evans Ballard, interim director of Fibrant and information technology. "This event is also lucky to have the support of Hotwire Communications, with whom we are in current negotiations for a long-term lease management agreement for Fibrant. We know that there is tech talent in the Rowan County community, and look forward to uncovering that talent. This event will give these folks a platform to showcase their skills and abilities." MAGIC provides hands-on technology and entrepreneurial education experiences for participants to enrich their understanding and interest in technology, as well contribute to tech workforce development. The organization is working to close the gap of needed cybersecurity professionals by increasing students' interest in the field. Technology talent and high-speed broadband networks are among the two essential ingredients for innovation and growth. The fiber network of Salisbury's Fibrant and the City of Westminster, Md. are key points of leverage to attract talent and stimulate economic development. Team registration is now open. Teams must register for Capture the Flag by Tuesday, April 10 to ensure timely receipt of information. To register for the event, visit Fibrant.com/Hackathon or call (704) 638-5304.